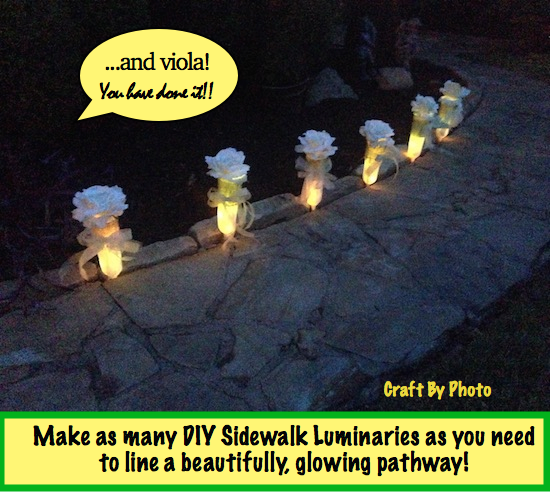 Make as many of these Luminaries as you need to line the sidewalk in a very beautiful way. Everyone will be amazed at how fantastic these look and it will make your event something really special! I wish you the best on your special occasion!